Samsung’s next Galaxy Note smartphone is coming in August, this year. 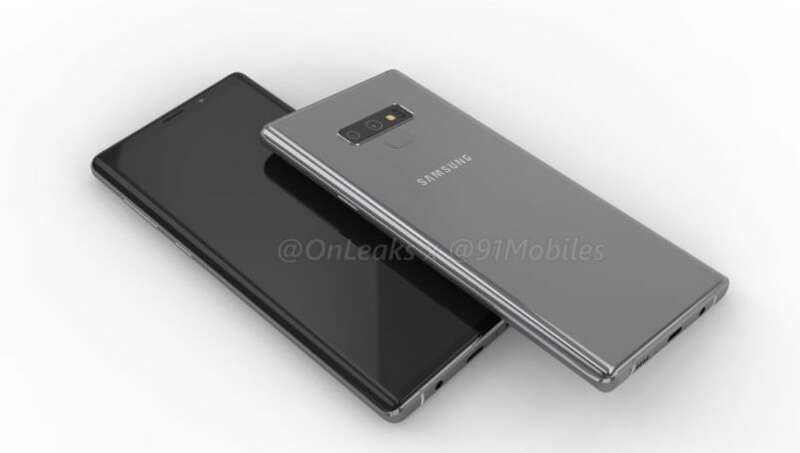 Samsung Galaxy Note 9 is expectedly going to be similar to Samsung Galaxy S9 but with an extra S Pen. This is what Samsung always does, launch a Note series phone with some bigger display and an S Pen. But we have all the things you need to know about the next Note series smartphone. The phone will launch on August 9, 2018. Eldar Murtazin reveals information about the design, specifications, and availability of Samsung Galaxy Note 9. He tested the pre-production unit as per our sources has confirmed. Talking about the specifications of Samsung Galaxy Note 9, It is expected to launch with Qualcomm’s Snapdragon 845 SoC in US and China. For all the other countries, we can expect a new Exynos processor. The Next Note series smartphone is going to have 6GB and 8GB RAM variant. As for storage part is concerned, It is going to start from 128GB and may go up to 256GB. The Samsung Galaxy Note 9 is expected to have a 6.4-inch display. The device is going to have dual cameras at the back similar to what we have seen in Samsung Galaxy S9 & S9+. The extra accessory which you will see with Samsung Galaxy Note 9 is going to be the traditional S Pen. Talking about the battery life, It may include 4,000 mAh of battery or more. Talking about the design of Samsung Galaxy Note 9, It is going to be similar to its predecessor. We have already seen dual cameras in the Samsung Galaxy Note 8 last year, The design might be similar to that. But who knows, Let’s just wait and watch. The Fingerprint sensor is present at the back. The flashlight will also include heart rate sensor to measure heart rate. The display is going to be FHD+ display. A single camera will be present at the front so as to capture some amazing selfies. The company has already announced the date of launch event happening for Samsung Galaxy Note 9 on August 9. This means that the device might be in the market after few days of launch. We can expect the availability of Samsung Galaxy Note 9 from 20th August. However, there is no confirmation about the availability and specs as of now, Just take them as a pinch of salt. That’s it from my side. I hope you like the content we are providing daily nowadays. Please make sure to follow us on all social media platforms: Facebook, Instagram, and Twitter.